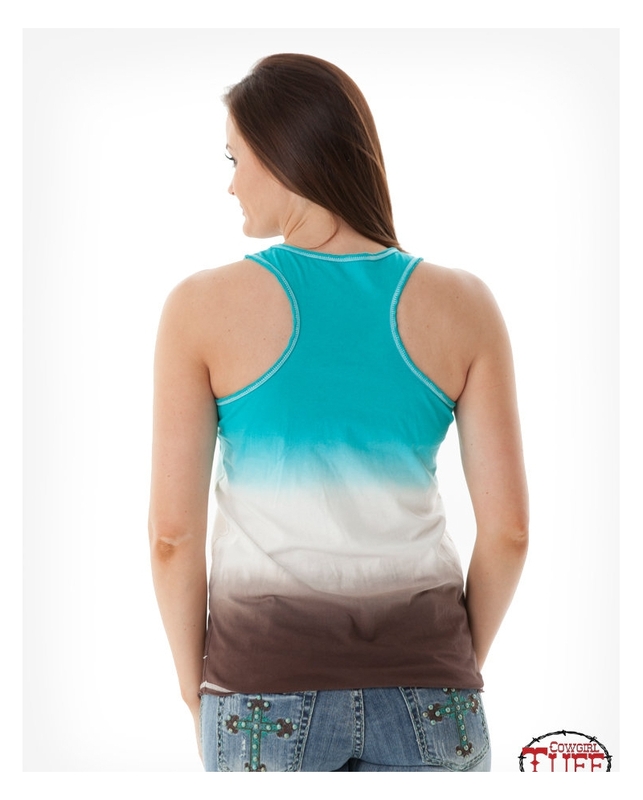 Turn up the heat with this stunning racerback tank! 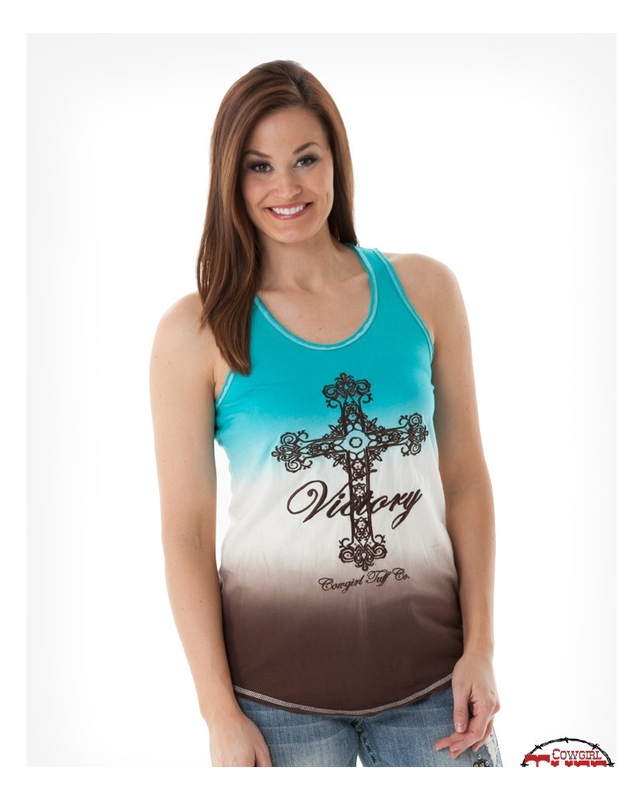 The turquoise, cream, and charcoal dip dye gives a trendy ombre look featuring the fan favorite Victory Cross embroidery. Pair with your favorite Cowgirl Tuff jeans or shorts and you're set for whatever the day brings!